Charming 1860’s Farmhouse situated on 3+ meticulously landscaped acres, w/3 car garage & storage/playroom above. Two-story pool cabana, in-ground lap pool & tennis court. Rocking chair front porch welcomes you into the charm of the Farmhouse feel. Original wide plank wood floors in kitchen, beamed ceilings & windows overlooking a brick patio and gardens. Unique high ceiling dining room w/wet bar & stone floor highlights a wall of windows overlooking more lush landscaping. The library, w/fieldstone fireplace & cathedral beamed ceiling, overlooks the dining room below. Master bedroom suite features French doors out to lawn & serene gardens. An inviting guest room w/window seat & hall bath finishes this level. The third level offers a bedroom that could also be used as an office or playroom. The beautifully landscaped property has perennial gardens, raspberry bushes & much more! 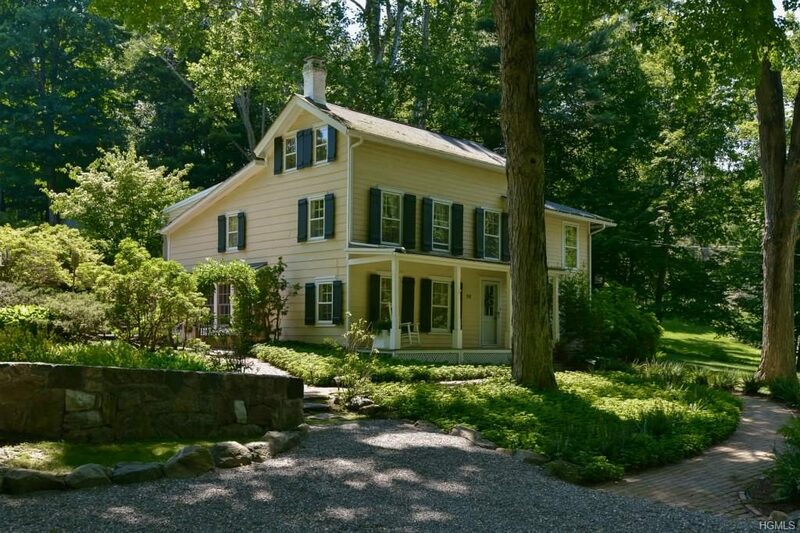 Relaxed country living near Croton-Harmon train, Teatown Preserve, Croton Point Park & Hudson Hills Golf Club. Listed by Sarah (Jaime) Chapin Miller. 914-591-5600.